Many options are available, and they are tailored to your specific requirements. If you need a replacement tooth while the implants are healing, temporary removable teeth or a temporary bridge can be made. If all of your teeth are missing, we can usually modify your present complete denture or make you a new temporary denture. If you would prefer non-removable teeth during the healing phase, temporary transitional implants may be an option, to be placed along with the permanent implants, thereby allowing temporary teeth to be made and inserted the same day. Depending on your particular situation, some implants can be placed and “loaded” immediately. This means temporary or permanent replacement teeth can be placed on, or shortly after, the day the implant is placed. Occasionally, some people develop post-operative infections that require additional antibiotic treatment. Even though great care is taken to place the implant precisely, there is the possibility of injury to adjacent teeth in the placement process. In addition, there is a chance of nerve damage. For example, the nerve providing sensation to your lower lip and chin may be affected. If you are missing quite a lot of bone, it might be difficult to place an implant without infringing on the nerve space. Although great care is taken to avoid this nerve, occasionally it is irritated during the procedure, resulting in tingling, numbness or a complete lack of sensation in your lip, chin or tongue. These altered sensations may or may not resolve with time. If you notify us of post-operative numbness as soon as possible, it will allow us to manage your care in the most appropriate way. Implants are meant to last a long time. When patients are missing all of their teeth, long-term studies (more than 30 years) show an 80 to 90 percent success rate. For patients missing one or several teeth, recent studies show a success rate of 90 to 95 percent. These probabilities compare favorably with implants placed in other areas of the body, such as hips or knees. However, if one of your dental implants either doesn’t heal properly or loosens after a period of time, you may need to have it removed. After the site heals (or on occasion at the time of removal), placement of another implant may be possible. Your restorative treatment begins with specialized impressions that allow us to produce a replica of your mouth and implants. Your family dentist will also make “bite” records so that we see the relationship of your upper and lower jaws. With this information, the dentist will plan the pieces (abutments) that attach the replacement teeth to the implants. Various types of abutments exist. Frequently, your dentist can use “off the shelf” abutments, but occasionally, custom abutments must be made of gold or a tooth-colored ceramic material. As you can imagine, these custom made abutments add to the cost and treatment time involved. Which abutment to use is a decision that often cannot be made until after healing is complete and impressions have been made. The number of appointments and the amount of time required for each appointment is different for each patient. No two cases are exactly the same and, regardless of the number of teeth replaced, the work must be completed with great precision and attention to detail. Between appointments, your dentist will need time to complete the necessary lab work to make your replacement teeth. If your final restoration is a removable denture, your dentist will perform a series of impressions, bite records and adjustments in order to make your new teeth, as well as the retentive devices (custom support bars, snaps, magnets, or clips) that will secure your teeth to the implants. During this period, every effort will be made to ensure you have comfortable, temporary replacement teeth. Given the unique nature of each patient’s case, it is difficult to predict before treatment precisely how much the restorative phase of your treatment will cost, although your dentist will provide you with an estimate. It also is difficult to provide a specific time frame for completion of your treatment. Usually, Dr. Culberson places the implant(s) and performs other necessary surgical procedures. 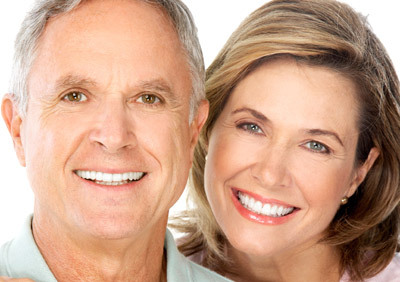 Your family dentist provides the temporary and permanent replacement teeth. Both doctors are involved in planning your dental treatment. Also, depending upon a variety of factors, different dental specialists may help with your dental care. Before treatment begins, every effort will be made to give you an accurate estimate of all the expenses involved in placing the implants and making your replacement teeth. There are initial charges for the diagnostic work-ups, including clinical examination, study models, various types of x-rays, and the fabrication of a surgical template to ensure precise implant placement. In addition. In addition, there are fees for the surgery, implants and provisional and definitive prosthetic parts (abutments, crowns, dentures, or anything else that will be placed over the implants). Periodic maintenance such as hygiene visits, tissue conditioners, denture relines and other repairs will also incur additional charges. When different doctors are involved in your treatment, you will be charged separately for their services. Staff members of each office will try to assist you in estimating what your actual payments will be after evaluation of insurance coverage or other third party payments. Consideration of personal finances should be made, as some insurance companies provide limited or no coverage. Each patient is unique, and it is not possible for us to discuss every option and every contingency for treatment outcome. This information is intended to help you understand the general treatment options available to you. If your specific treatment options are not clear, please let us know. We will be happy to answer any questions you have about your dental care.